If you find the same brand product and service offer online for the same amount or less - we'll beat it! We're confident you can't beat our price, but if you find one of our competitors has the same brand product and service offer and is cheaper we'll beat theirs (subject to eligibility). We regularly check our prices against competitors to ensure we offer the best price. In the unlikely event that a competitor offers the same brand product and service offer, they have it in stock, and it is an absolutely comparable logistics and service offer we will beat it. Please contact us or call us on 01473 276680 to request our best offer. The competitor must be a legitimate online retailer and be an exact product and service offer match. Our price promise is subject to the below conditions and all price matching is subject to our own discretion. The branded product offered on the competitor's website is identical to the one we sell. The total order price must be an exact comparison and therefore include extras such as delivery and handling charges. The competitor's offer must include the same level of quality logistics (such as premium packaging service, tracked delivery, and exact delivery timeframe). The product on the competitors website must be in stock and available for delivery immediately. We must have the product in stock and available for delivery. We are able to verify the competitor's offer. 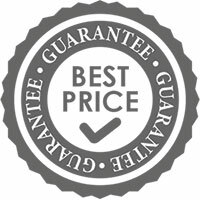 Our price promise has to be confirmed before purchase. If you have found the same price or cheaper from one of our competitors and it satisfies the above conditions, contact us ensuring you provide us with the following information allowing us to verify the offer and get back to you. The product offer you are interested in purchasing and the price. The competitor's website address of the offer. We will not accept product offers displayed on price comparison websites. The offer is not transferable and you must purchase the product whilst the competitor's offer is still available.